In India the biggest problem is having safe drinking water. Unsafe drinking water leads to many waterborne diseases like diarrhea, cholera, dysentery, typhoid and the list goes on. These diseases may cause death in severe cases. Daily many people in India die because of unsafe drinking water and according to facts one child every minute dies because of unsafe drinking water. So what is the reason behind it? 1. The government is not able to provide safe drinking water as it is very expensive to provide chlorinated water to every household using pipe. 2. Some rural areas do not have electricity most of the times so water purifiers cannot be installed. 3. Some people in urban areas still cannot afford to have safe drinking water despite of knowing the fact the direct water supply is unsafe. 4. 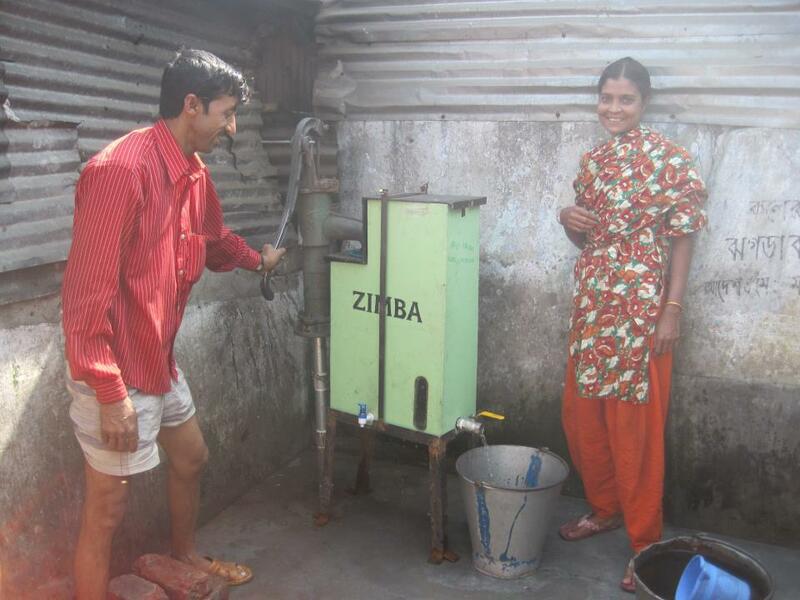 Most of the water purifying machines uses electricity to purify water. In India, power cuts are so often that even if we have water purifiers they do not work due to power cuts. So, what is the best possible solution? A solution which is cost effective uses no electricity. Using Chlorine is an effective and cheap way of treating drinking water to make it clean and safe. But, the question arises in rural areas where the people are less literate how do they know how much amount should be added every time when there are different container sizes and different flow rate? Simply, using it is not the solution. The answer to the above questions is ZIMBA (Automatic Chlorine Doser) a unique and very useful invention by Mr.Suprio Das. It adds chlorine to the water in required amount making it safe for drinking. It is effectively available and cheap. It has been successfully installed in various parts of the country as well as outside. The cost to chlorinate 10,000 liters of water is just Rs 5/-. You can easily make out how cheap it is. And, 10,000 liters of safe water can save how many lives. The government should support this and create awareness about this product. So, share this and help people to have safe drinking water.